Geocoin and both stickers have the same tracking code. The trackable Geocoin is available in different colors and looks like a key. The code is engraved to the key bit. The 2 labels have the same code as the coin. You can use both labels for one vehicle or if you like for an additional car. 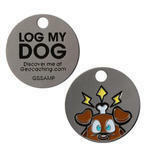 It turns your vehicle into a trackable and other geocachers can discover you! 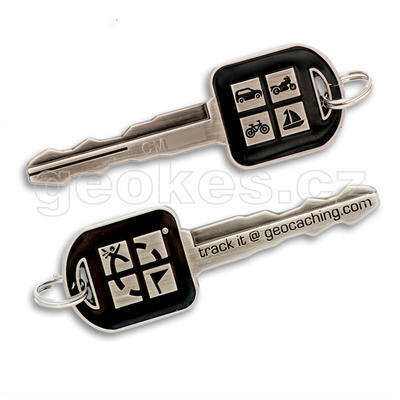 Trackable at www.geocaching.com with its own unique icon. * adhesive material sticks residue-free at all smooth surfaces, for example car windows. You can easily remove it and use it again.